What is the safest way to move your vehicle to another city or state? Doing it yourself is not good for your our your car. It’s dangerous and will add tear and wear to your vehicle. That is why many people prefer using Auto Shipping. You can just relax and let a team of experts take care of moving your vehicle. But be careful choosing a Car Shipping company for this task. Make sure they are reliable and work with your kind of vehicle. Don’t just go for the lowest rate. Doing so you can find yourself waiting for an available carrier for too long. Or the quality of services can turn out low. San Antonio Car Transport can help you with Auto Shipping of any kind. We can move any vehicle for you to or from San Antonio. San Antonio Auto Shipping provides many San Antonio Auto Shipping services. We will arrange San Antonio Auto Transport in the best way for you. We always ship door-to-door. When there is no way for our carrier to do that, we will discuss another location with you. We will make sure we choose only the best options for your San Antonio Auto Shipping. That is the option for your urgent San Antonio Auto Transport. Using it, you will get the fastest pickup. It costs more but when time is the matter, that’s your best option. As a licensed and bonded carrier/broker, we provide insurance for all the vehicles we ship. You can be sure that with us you’re totally covered! We will do our best to get you the lowest price for the kind of quality we offer. You can count on us with special discounts too! 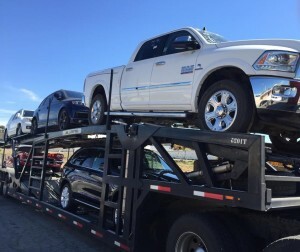 San Antonio Car Transport will be happy to ship for you! Contact us to learn more about our Car Shipping.